Surfing through the internet in attempting to identify old vehicles we came across a Wikipedia Website Page called Unidentified Automobiles where they are asking identification. -- From an album by famous French photographer Jules Beau (1864-1932). Gorgeous photo of young lady in lots of fur. 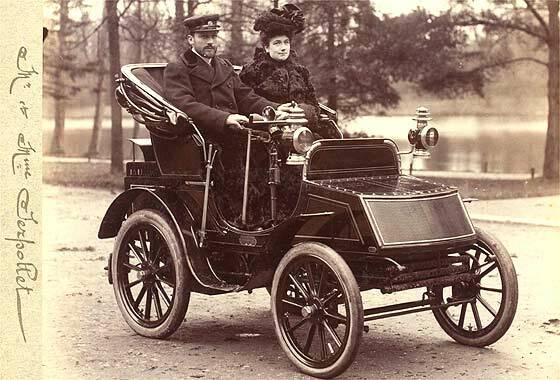 Our Ariejan Bos advises this is a Paris built cca 1900 De Boisse er Lavassor 3.5 Voiturette Tricar. De Boisse was the builder and was probably financially backed by the widow of Emile Levassor. Surfing through the internet in attempting to identify old vehicles we came across a Wikipedia Website Page called Unidentified Automobiles where they are asking identification. -- This is a photo from an album by famous French photographer Jules Beau (1864-1932) specialising in sport. 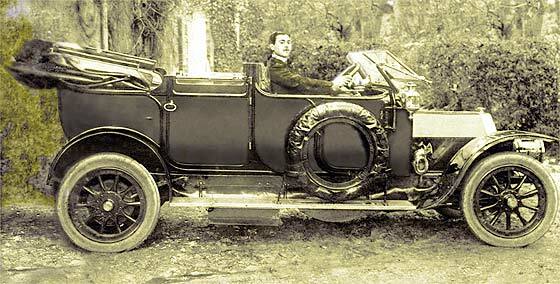 This French vehicle made in Paris, a steam powered two-seater, is driven by Mr. Serpollet. 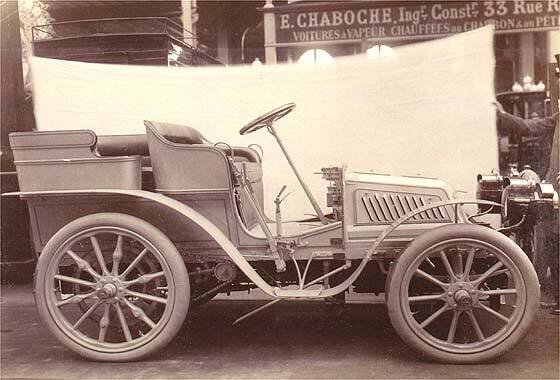 This is a cca 1900 Gardner-Serpollet 5cv Model D was bodied by the famous Parisian carriage-maker Kellner et ses Fils. Surfing through the internet in attempting to identify old vehicles we came across a Wikipedia Website Page called Unidentified Automobiles where they are asking identification. -- This is a photo from an album by famous French photographer Jules Beau (1864-1932) specialising in 'sport'. This was taken at the 1900 Gaillon Hill Climb. 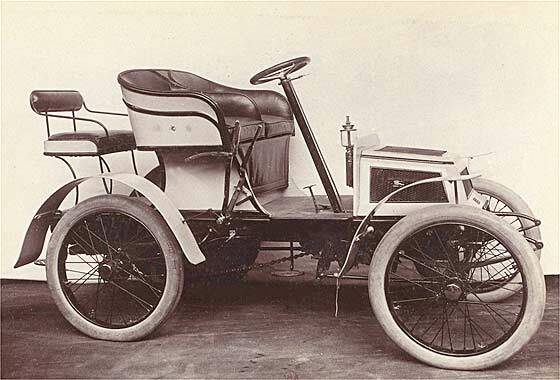 This small racer was built in Paris by the Société L'Energie in 1900 and was driven at Gaillon by Caillois and Renaux. Built a Tricar and a Tonneau, but closed by 1902. Surfing through the internet in attempting to identify old vehicles we came across a Wikipedia Website Page called Unidentified Automobiles where they are asking identification. -- This is a photo from an album by famous French photographer Jules Beau (1864-1932) specialising in 'sport'. 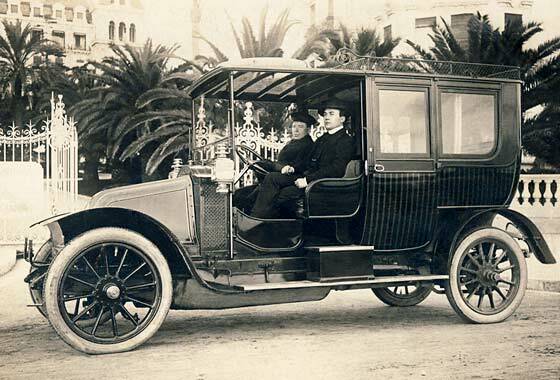 This is a French vehicle made in Paris, forerunner of the then world's biggest manufacturer. This is a cca 1900 De Dion Bouton Tricycle introduced 1895 as 132cc 1.25 HP, then 1.75, 2.75, by 1904 955cc 8HP. Surfing through the internet in attempting to identify old vehicles we came across a Wikipedia Website Page called Unidentified Automobiles where they are asking identification. -- This is a photo from an album by famous French photographer Jules Beau (1864-1932) specialising in 'sport'. 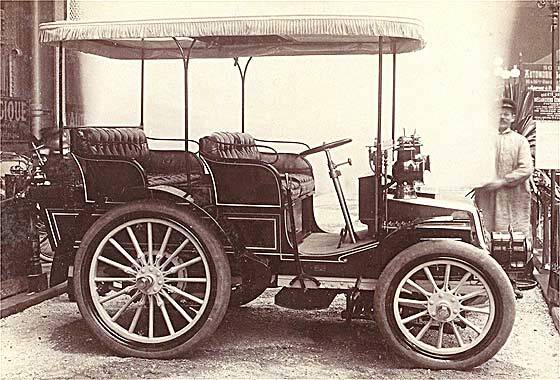 This is a French vehicle made in Paris, forerunner of the then world's biggest manufacturer. This is the follow-on from the successful Tricycle being a cca 1900 De Dion Bouton Quadri Cycle, also a 'Forecar'. Surfing through the internet in attempting to identify old vehicles we came across a Wikipedia Website Page called Unidentified Automobiles where they are asking identification. -- This is a photo from an album by famous French photographer Jules Beau (1864-1932) specialising in 'sport'. 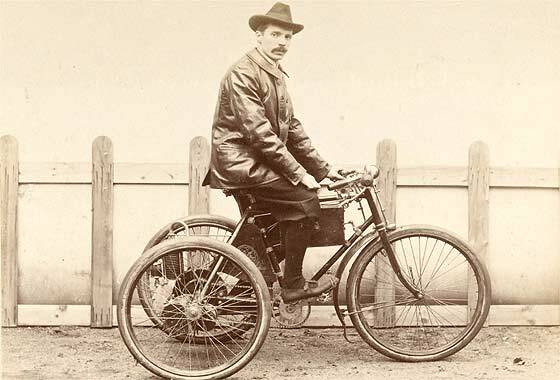 This was taken at Salon de l'Automobile, du Cycle et des Sports in January 1901 in Paris. Our Ariejan Bos advises this is an early Belgian cca1901 Metallurgique 4.5HP Light Car from a maker of railway engines. Surfing through the internet in attempting to identify old vehicles we came across a Wikipedia Website Page called Unidentified Automobiles where they are asking identification. -- This is a photo from an album by famous French photographer Jules Beau (1864-1932) specialising in 'sport'. Our Ariejan Bos advises this is a Paris made cca 1901 Crouan 16HP Brake with a two cylinder engine automatically regulated by an automatic advance & retard, and that it had "pneumatic transmission". Surfing through the internet in attempting to identify old vehicles we came across a Wikipedia Website Page called Unidentified Automobiles where they are asking identification. -- This is a photo from an album by famous French photographer Jules Beau (1864-1932) specialising in 'sport'. Our Ariejan Bos advises this pointed bonnet defines an early French cca 1901 Vehel 8HP Phaeton made in Paris by Messrs Dulac, and also sold in the UK as the 'Torpedo'. Company only lasted 1899 to 1901. Surfing through the internet in attempting to identify old vehicles we came across a Wikipedia Website Page called Unidentified Automobiles where they are asking identification. -- This is a photo from an album by famous French photographer Jules Beau (1864-1932) specialising in 'sport'. 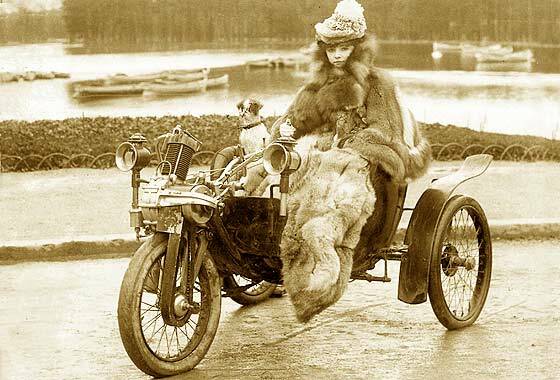 This was taken at Salon de l'Automobile, du Cycle et des Sports in January 1901 in Paris. Our Ariejan Bos advises this is an early Belgian cca 1901 Mors 10cv Duc-tonneau. Bought by Citroen 1925 and closed. Photo received from Colin Lyle (UK) of the Lyle family (Tate & Lyle) which was given to him many years ago and he has been wondering what the car on the right was. -- Many cars had a scuttle bonnet at that period but not many had the radiators on each side of the bonnet. 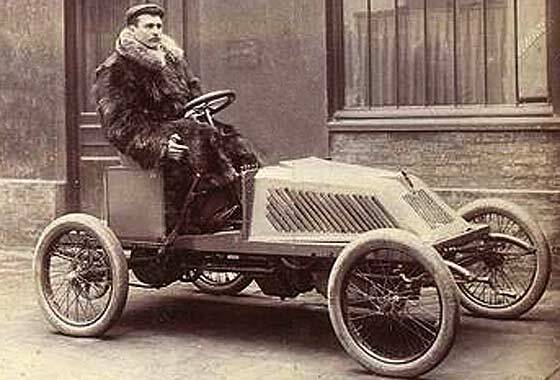 This car is French, made in Paris, by the company started 1899 as Société Renault Frères originally using De Dion Bouton engines. Designed own engines 1903. 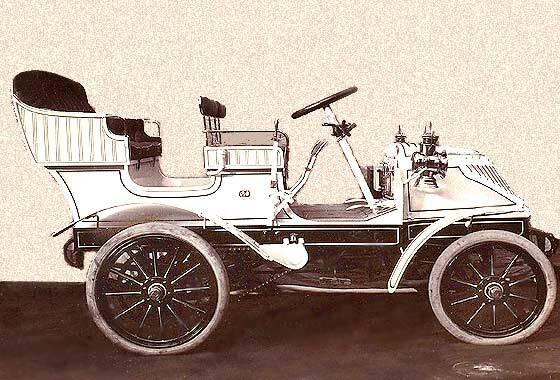 This is a cca 1903 Renault Type N 10HP Double Phaeton. Photo received from Gerald Davis, Atlanta, Georgia (USA) saying 'taken in Weston, Massachusetts, early 1900s. I am working on family history. The two ladies in the back seat are distant cousins of mine, and I think the couple in the front seat are too. So my ancestors are from the state of Massachusetts'. 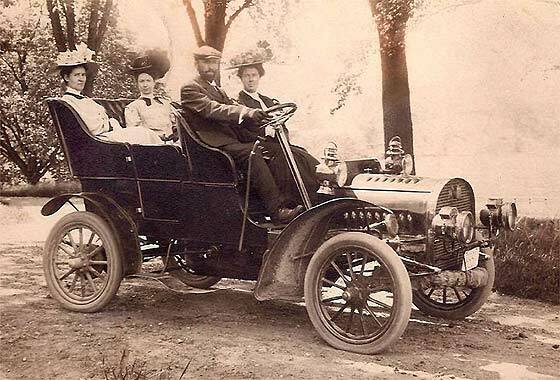 -- Car made by the Thomas B. Jeffery Company of Kenosha, Winsconsin, of the earlier Rambler bicycle fame, this is a cca 1905 Rambler Type 1 Surrey, two cylinder 16'20HP, costing then $1350. One of a couple of photos received from Tom Cosens from Yorkshire (UK) of old cars he didn't recognise. From his collection of postcard curiosities without further background. -- Quite a difficult one but at least two of our experts believe from the not visible radiator, detachable rad side panel, distinctive bonnet handle, shaft drive, small rear hub, and especially from the steering column gear lever, that this is an early cca 1905 Darracq Side Entrance Tonneau, possibly 10'12 HP. Photo received from Colin Lyle (UK) of the Lyle family (Tate & Lyle) which was given to him many years ago and he has been wondering what the car on the left was. -- The car is a cca 1907 Enfield 18'22 Double Phaeton which was used by his relatives Philip Lyle in 1908 to do a mammoth European Tour from UK through Holland, Germany, Austria to Hungary and Romania, and then back. Other photos of the car are without large cyclops headlamp but do feature post 1907 RAC badge. One of a couple of photos received from Tom Cosens from Yorkshire (UK) of old cars he didn't recognise. From his collection of postcard curiosities without further background. Is this a Hotchkiss? -- Similar confusion as with a previous photo because the car is Anglo-American. The chassis by General Motors in Flint, Michigan and body possibly in Westminster by Bedford Motors. This is a cca 1911 Bedford Buick Phaeton Landaulette where the whole of the back roof is 'decapotable'. 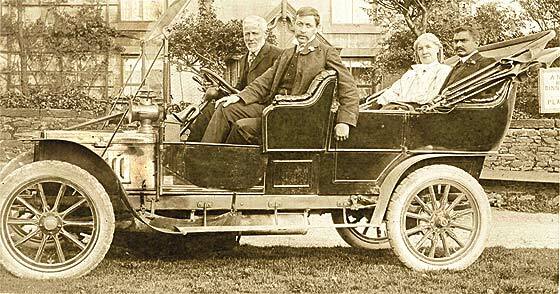 Surfing through the internet in attempting to identify old vehicles we came across a Wikipedia Website Page called Unidentified Automobiles showing very interesting ancient machinery for which they are asking identification. -- Photo notated 'Detective Giuseppe Visco Gilardi a Cannes' who was one of the earliest Italian private detectives who also worked in London and New York where he also took up 'psychics' including Hypnotism. 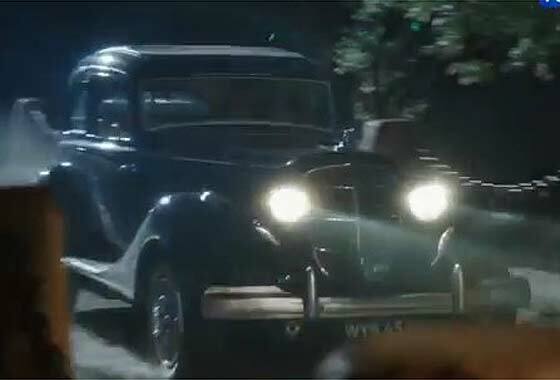 The car seems to be a cca 1911 Renault Limousine. Surfing through the internet in attempting to identify old vehicles we came across a Wikipedia Website Page called Unidentified Automobiles showing very interesting ancient machinery for which they are asking identification. -- Photo notated 'Fahrt zur Front, Panne (10-4-1917)'. 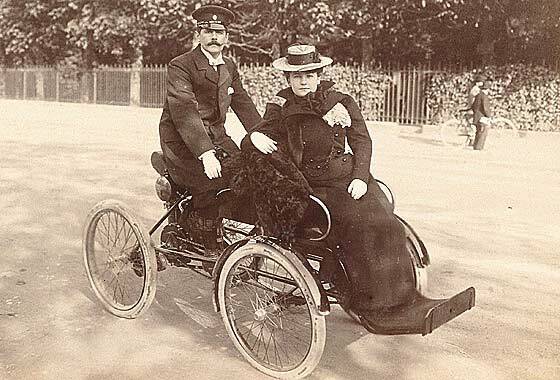 The car is of Belgian manufacture, Antwerp, by a bicycle maker, turned cars in 1900. Big car, the radiator is flat but fronts of mudguards rounded so likely cca 1914 Minerva Torpedo, probably the 38CV Knight. Photo received from Malcolm Summers (UK) taken in February 1914 of Mary and Henry Willink of Hillfields, Burghfield, Berkshire. 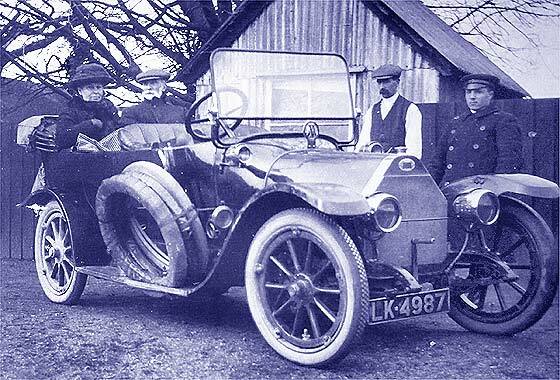 This was their first car and their first motor tour, travelling through Gloucestershire to Cornwall. Is that an AA badge? -- LK 4987 is a London County Council registration of late 1913. The car is an Italian cca 1913 FIAT Tippo Zero Torpedo, also known as 12'15HP, costing then in UK £325. Badge is indeed the Automobile Association, but as it has no wings was pre 1911. Surfing through the internet in attempting to identify old vehicles we came across a Wikipedia Website Page called Unidentified Automobiles where they are asking identification. -- Photo is notated 'Besuch des Kais. Hoh.d. Erzh. Thronfolger am 7.7.16, Abfahrt.' 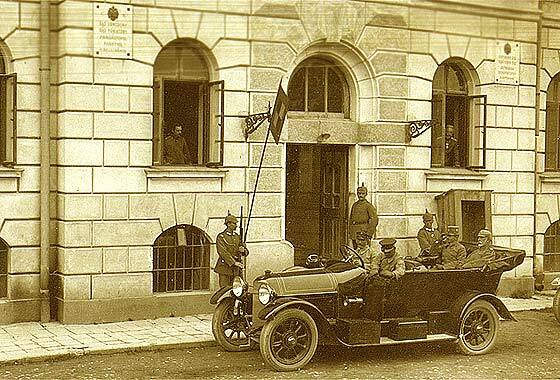 The car is Austrian, made in Wiener Neustadt by a subsidiary of the German Daimler-Motoren-Gesellschaft and was headed by Ferdinand Porsche senior. This is cca1914 Austro Daimler Prince Heinrich, overhead cam 5,714-cc four. 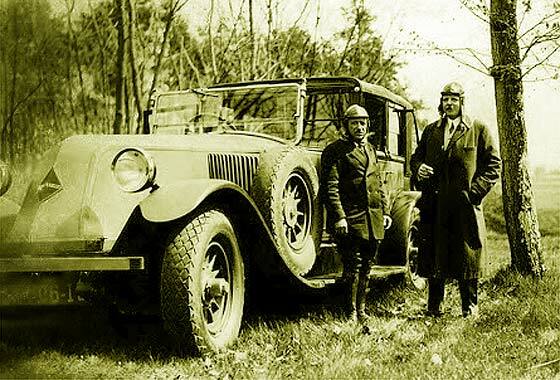 Photo posted on AACA website by Dosmo (USA) saying any help would be appreciated in identifying this vehicle. -- Definitely French. Big car with diamond shaped logo so post 1925 when it replaced the round logo. Very big car with lots of louvers but still at the back of what is a long bonnet, so most likely a cca 1926 Renault Type NM 40 CV Open Drive Landaulette, 6 cylinder 9120cc. 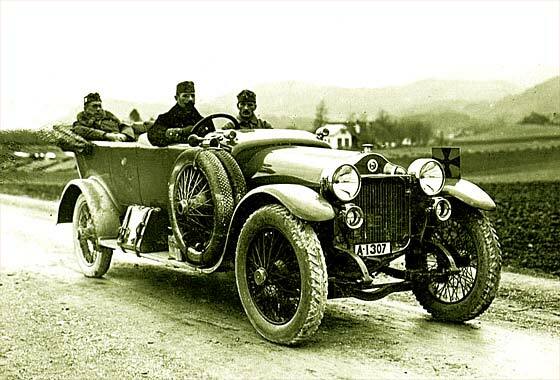 A 40 CV Renault won the Monte Carlo Rally in 1925, and another was the official car of the French President. Cinema screen grab taken from a Dutch mini series "De Zaak Menten" made in 2016 where cars are being investigated by IMCDB. True story of Dutch journalist Hans Knoop's 1970s struggle to uncover the truth about World War II war criminal Pieter Menten. -- This car is of French manufacture with five uncovered wheel studs so not Peugeot but a cca 1932 Citroen Rosalie Boulangere. The Rosalie car range was made 1932 to 1938 and included a number of small commercial lorry / van variants. One of a number of interesting photos sent to us by Andrew Kostin from Moscow (Russia) who is a collector of old photos. Can we identify the this European vehicle? The photo was taken after WW2. -- Indeed European car manufactured by an American owned company in Rüsselsheim, Hesse, Germany which had started by making sewing machines in 1862. This is top end of range cca 1938 Opel Admiral Limousine. Manufactured between 1929-37, 3.6L 6 cyl, and 6,404 made. 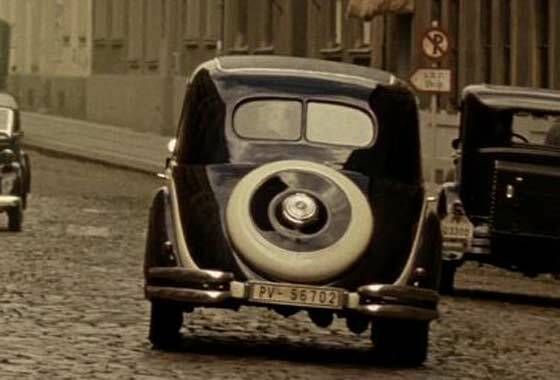 Cinema screen grab taken from a Czech film "Anthropoid" made in 2016 where cars are being investigated by IMCDB. True story of WW2 mission of Czech exiles who are parachuted back home to assassinate SS General Reinhard Heydrich, the architect of the Final Solution. 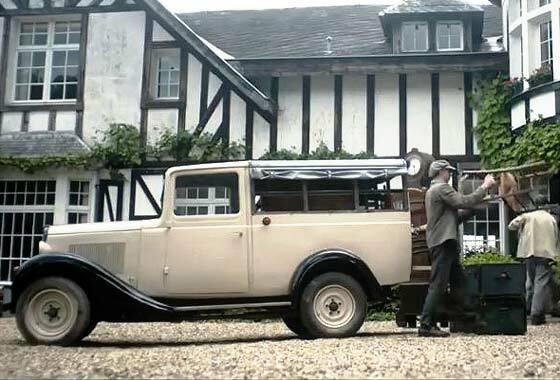 -- This car is of German manufacture from Eisenach by ex aircraft maker Rapp renamed Bayerishe Motoren Werke 1917 who built a licensed British Austin Seven in 1927 as the Dixi. This one is cca 1938 BMW 326 Saloon. 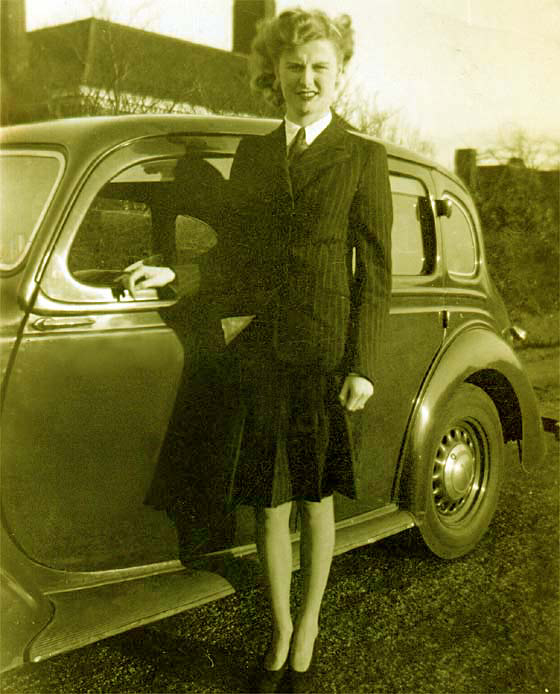 Photo received from Russell Robshaw (UK) researching family history and would like to identify the car shown in a number of photos taken 1949-50. No expert on old cars, but research seems to suggest a Morris 10, but doors and hinges do not match. -- Not much of car shown, no registration, only people. However from attached there is a significant bulge carry-over from the top of door to the door pillar. Also both doors are of suicide type. 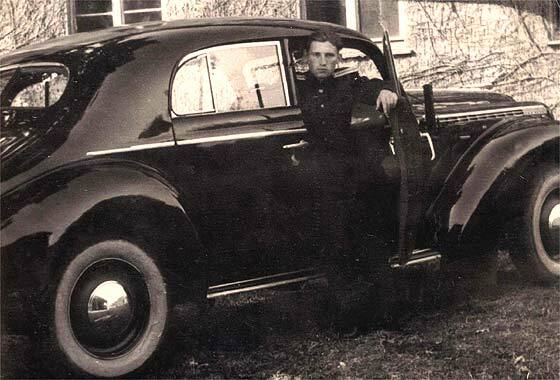 Car is a cca 1939 Standard Flying Fourteen Saloon. Cinema screen grab taken from a Russian TV Series "Koroleva Krasoty" (Beauty Queen) made in 2015 where cars are being investigated by IMCDB. Story of a beautiful peasant girl who went to Moscow and sacrificed personal happiness for being a beauty queen. -- This car seems of Russian manufacture from Nizhny Novgorod but which has been extensively modified. We think this is a a cca 1939 GAZ M1 Saloon with post 1946 GAZ M20 bumper and cut down M11 grille. Cinema screen grab taken from an Italian Film "Ingrid Sulla Strada" (Ingrid the Streetwalker) made in 1973 where cars are being investigated by IMCDB. Story of a bedraggled prostitute arriving in Rome. -- This car looks English and easily mistaken for one of the BMC ADO16 variants. It is actually an Italian made cca 1966 Innocenti I4 Saloon. Innocenti famous for the Lambretta made BMC cars 1961-76, and was purchased by BMC in 1972, but became De Tomaso group 1976.